« Dereliction D.I.P.A. — Muddy York Brewing Co.
“There were no foul lines, just base paths worn by year after year of cubs running the bases. So there were a lot of arguments about foul balls. There was a rule against sliding into second base, because second base was a rock. 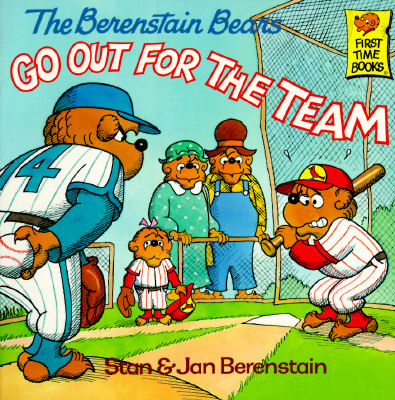 And any ball that was hit into the duck pond in left field was a ground-rule double and an automatic time-out while they fished it out.” — The Berenstain Bears Go Out For The Team; © 1986 by Berenstain Enterprises Inc. This has been a noisy day in the wonderful world of beer sales in Ontario. The Liberal government released the details of the new 195 page master agreement between The Beer Store, the Province (LCBO), and the new kids on the block, grocery stores. Much of the information is what we heard when they announced it with the budget. Some more details have come out. If you read my thoughts in April, you will remember I was not happy. I’m still not. The good from today’s news is there are some clear definitions of what constitutes a grocery store (10 000 sq/feet dedicated to groceries, not primarily identified as a pharmacy); that the 20% craft shelf space is for both grocery stores and The Beer Store, and that there cannot be a fee to get listed (though we all know how effectively the province enforces pay-to-play in bars around the province); and that they have some novel system to divide sales licenses between both huge chains and independent grocers. The old news about shared shipping for smaller breweries and no volume limit for a second on-site retail location are accurate, and very good news. But here’s the thing: This is just more Ontario political craziness. This is to “level the field”, apparently for small brewers, who nobody would suggest get a fair shake in the current system. But what could have been an actual leveling of the playing field, turned out to be more insanity and government control and meddling. And remember, I’m saying that as a sworn lefty nutjob, who generally thinks having controls and regulations is a good thing. Check out that adorable quote from the Berenstain bears (and please leave your alternate-universe theories at the door). Doesn’t that just sound like beer sales in Ontario? Second base is a rock, so they’ve implemented a rule that you can’t slide into it. They didn’t just replace it with a base. Our government is claiming they’ve leveled the playing field. They haven’t, they’ve just implemented a heap of rules to try to smooth out some of the worst slopes and pitfalls of the system. A level playing field would be one where anybody could apply for a license to sell beer, and do it. A brewery can pick and choose who they sell to, as a retailer can choose who they do business with. Nobody would need to guarantee a percentage of shelf space, because the market would control what products were successful and got shelf space. This isn’t a level playing field, it’s just a bunch of new rules to try to counter how horrible we’ve allowed our playing field to get. Yes, it will be more convenient for people who shop at one of the 450 stores that have a license. But the agreement still favours The Beer Store heavily (for instance, grocers are limited in the volume they can sell. They can exceed the limit, but then have to pay a fine to the LCBO who distribute it to, you guessed it, the breweries who own The Beer Store to offset their lost sales. Seriously). And it’s a 10 year deal. Don’t look for any serious changes between now and when my son — who is in grade 2 — is preparing to graduate high school.